I was going to call this post “Bitchin’ Ditching,” but with four active tropical systems in the Atlantic right now, I just couldn’t make light of what really is a serious subject. 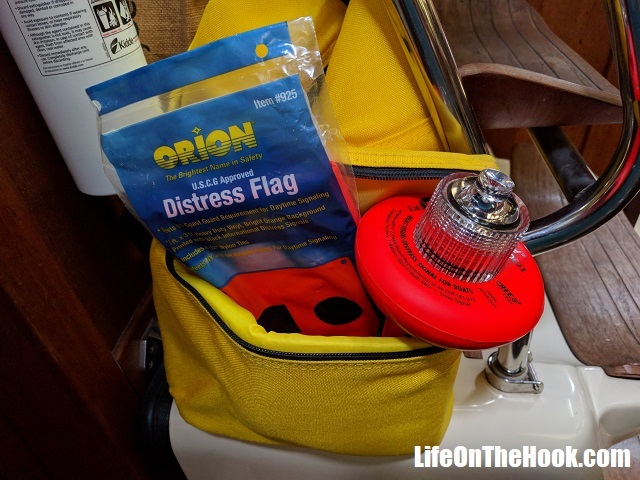 Like many (hopefully all) cruisers, we carry a ditch bag with some essential stuff in it that we think we might need if we ever have to abandon ship. And like many (hopefully NOT all) cruisers, we’ve probably overlooked a bunch of things that we’d need in an actual emergency. We’re working on that, trying to add some things to make the bag more useful. But one thing I know we didn’t have right was its location. 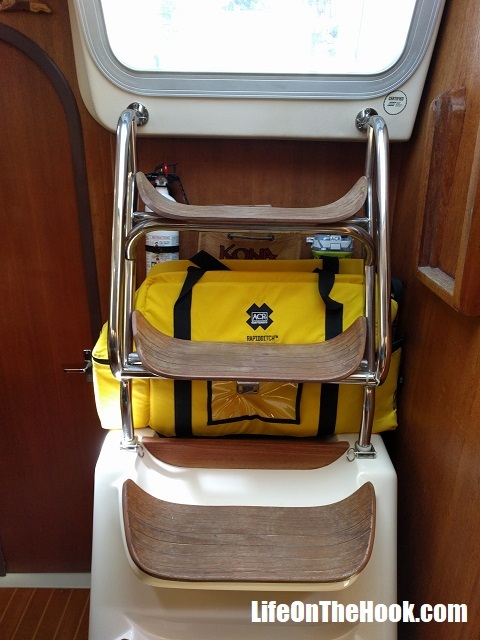 Our ditch bag lived on the back corner of a shelf in our aft cabin—a spot that would have required one of us to crawl back on our hands and knees and move other things to reach it in an emergency. And then I saw a picture of someone else’s ditch bag. 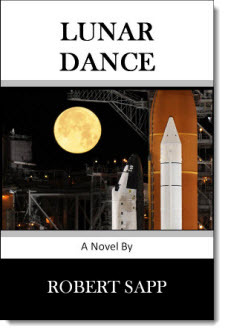 It was under their companionway ladder. It was a palm-smack-in-the-middle-of-the-forehead moment. So guess where the new home for our ditch bag is. To be fair, we’d already been living on the boat for a year before we bought our bag, and this area had already become home to some other items. Since our ditch bag was something we hoped we’d never need, it seemed OK to stick it in an out of the way spot. But now that we’ve been cruising for three seasons and have several OMG weather experiences under our belts (or under our inflatable life jackets, I should say), the need to be able to grab-n-go in a crisis has moved up the priority list considerably. Another thing I like about this spot is that if we ever end up being boarded by the Coast Guard for a safety inspection, our emergency strobe and distress day signal are easy to reach. If you’ve been along for the ride long enough, you may remember we wrote in the post Overcoming Tyranny about how we hate being held hostage to arbitrary expiration dates and thus don’t depend on flares to meet our USCG emergency signaling requirements. Space blankets, a sharp knife, some sturdy shears, a day’s worth of bottled water, some energy bars, copies of our USCG documentation, insurance and passports, a bright flashlight—just a few of the items in our bag or on the list to be added before we head out again this fall. So what’s in your ditch bag? And more importantly, where do you keep it? This entry was posted in Where?, Why? and tagged Ditch Bag Location, What's In Your Ditch Bag on September 10, 2018 by Robert.